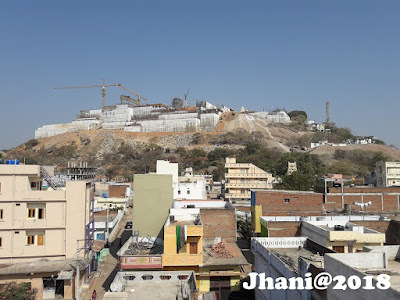 HYDERABAD: With expectations of huge potential for future development in the Yadagirigutta Temple Development Authority (YTDA) area, the authorities have included an `Urbanisable Zone' and a Special Town Temple Development Zone in the draft master plan for YTDA area. These zones have been proposed to develop YTDA as not only a pilgrimage centre but also a tourist spot with recreational facilities and create opportunities for inculcating arts and cultural activities. The director of Town and Country Planning (DTCP) recently submitted a draft master plan for 25,817 acres under YTDA jurisdiction to the municipal administration and urban development (MA&UD) department. Special provisions have been incorporated for creating infrastructure and amenities such as water resources under Mission Bhagiratha scheme that will meet the requirements of projected population till the year 2031. It may be recalled that following chief minister K Chandrasekhar Rao's plan to develop Yadadri on the lines of Tirumala, the YTDA was created to oversee and implement the development plan.While work on renovating of the temple is underway , the municipal administration department has been tasked with preparing a master plan for a planned and systematic development of the area. As per the plan, residential, commercial, industrial, public and semi-public, urbanisable, ecoloigical zone, grave yards and special temple town development zones have been proposed for the entire 25,817 acres of YTDA area. Of this, 12,220 acres have been earmarked for Urbanisable area for future development, 1,391 acres for special development and 2,014 acres for residential zone. "With regard to tourist and recreational attractions, provisions for construction of a watch tower in YTDA, art and cultural zones, rock climbing, water sports and a botanical garden have been included in the master plan," R Hari Prasad, deputy director of DTCP said. To improve connectivity, especially from Hyderabad, roads have been proposed with Outer Ring Road. (ORR).